The digital comics service comiXology is offering readers a free comic every day from December 7 through December 18. Each new free comic will go live at 1 p.m. EST on the comiXology website and the iOS and Android apps. The comic will stay up for just 24 hours, so you’ll have to visit every day to get all 12. The first comic is Avengers vs. X-Men #0, the prequel to the big AvX crossover that dazzled superhero fans earlier this year. 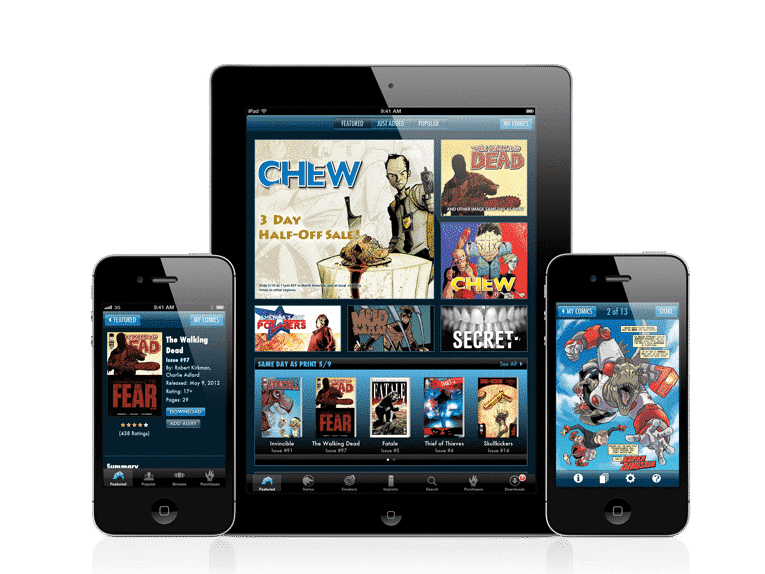 ComiXology CEO David Steinberger says the promotion is to thank fans for another good year, in which comiXology passed the 100 million download mark and was frequently the top grossing app in the iTunes store on Wednesdays, the day new comics come out. “ComiXology has had an amazing year and to celebrate we—along with 12 amazing publisher partners—are giving back to the fans and giving them the opportunity to freely share amazing comics,” he said in the official press release. But there’s more to it than that: ComiXology wants you to think about giving digital comics as gifts, and the best way to get you to gift a comic is to give it to you for free—and let you give it away for free. (The trick here is to pick a recipient who is savvy enough to read digital comics but clueless enough not to know about the free-comics promotion.) ComiXology does make it pretty easy to give the gift of comics; there’s a little gift icon right on the “Get Digital Comic” button, and if you’re buying on the web, you also have the option to gift your entire shopping cart. The 12 days of Christmas is usually the 12 days after Christmas, but why quibble when free comics are involved? Check out this link every day to check out the free spotlight comic, and share with your friends!